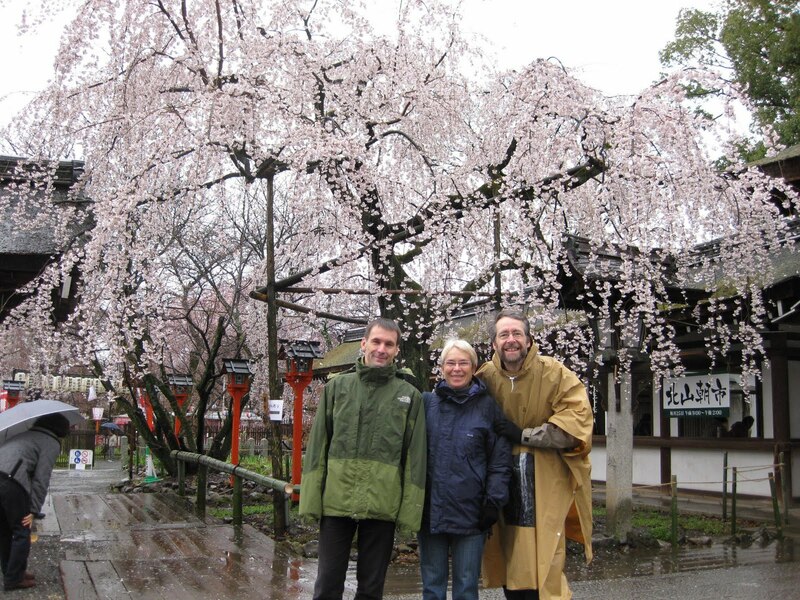 Despite the rainy weather, we enjoyed the scenery in Kyoto. After picking them up, we headed for Hirano Shrine. This shrine is popular in the cherry season because it has many different kinds of cherry trees in the precinct. At that time it was too early for fully blooming, but still we could see some trees with beautiful blossoms. This family are very fond of flowers. They seemed to enjoy them. Then we headed for Golden Pavillion and Ryoanji rock garden. We could see some cherry blossoms again in both temples. 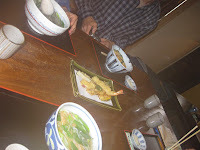 We had lunch near Daiokuji temple. As it was freezing cold, all of us wanted to have something hot!! Of course we made a decision to have UDON. 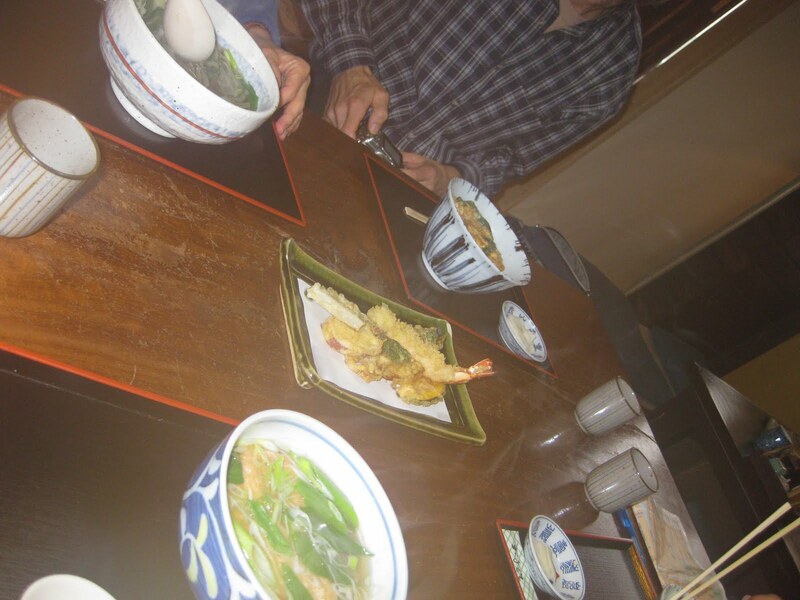 We found a nice UDON restaurant, and really enjoyed lunch. We planned to visit Nishiki food market after visiting Nijo Castle. However, it was very cold on that day, so we had to finish the first day tour. On the second day, we enjoyed sightseeing in the eastern part of the city. 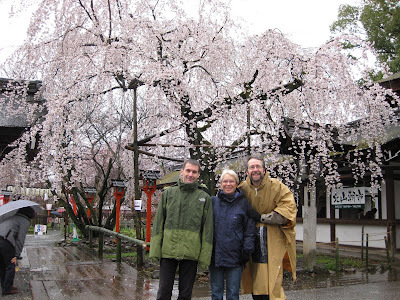 First we visited Sanjusangendo and Kiyomizu temple and then walked along Sanneizaka Nineizaka. As they requested ( they wanted to visit a temple without taking off their shoes), we visited Heian Shrine. It is not so old temple, but it has also a nice large garden and you can enjoy walking around the garden. Though cherry blossoms are not at their best, we could see some cherry blossoms blooming. After getting out of this temple, they seemed to really like this garden as they said they wanted to return to the garden if they are allowed to enter again with the same admission ticket.